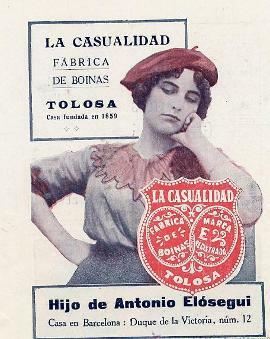 Spain has a long tradition of wearing and making berets, or boinas.There was a time that there were many small manufacturers spread across the Spanish country, but since the closure in 1992 (after 100 years) of Boinas La Encartada in Balmaseda, there is only one left: Boinas Elósegui in Tolosa, in the heart of the Spanish Basque Country. 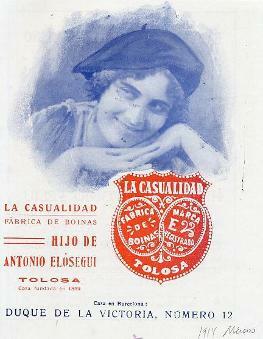 Boinas Elósegui was founded in 1858 by Antonio Elósegui, along the banks of the river Oria and named La Casualidad. At this time the production was not more than some 50 berets per day, the entire process carried out by hand. By 1915, 3500 berets were produced by a staff of 200 operators and sold all over Spain, South America, Cuba, the Philippines, the United States and Europe. As time went by, the company moved to an industrial estate in the Usabal District (Tolosa) and automated it's manufacturing processes and adjusted staff to the up's and down's of the market. 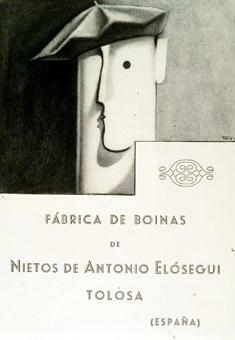 Presently, Boinas Elósegui has approximately 30 people in employment with an annual production of some 200.000 berets. South Pacific Berets stocks a variety of berets made by Boinas Elósegui, from the Femina models specifically for women, via the Fina and Super Lujo to the extra large Txapeldun and Limited Edition.